With companies facing new environmental imperatives, industrial ecology is revolutionizing business practices. Yet again, the Eco-Vallée will serve as a test lab in this matter, with a tight collaboration with the area’s business leaders, particularly those in the industrial park of Carros-Le-Broc. How to boost competitiveness while adopting a sustainable development approach? This is what the Plaine du Var industrial actors must strive to achieve. The challenge is to reach the right measure in terms of exploiting the natural resources, while reducing the impacts on the environment. 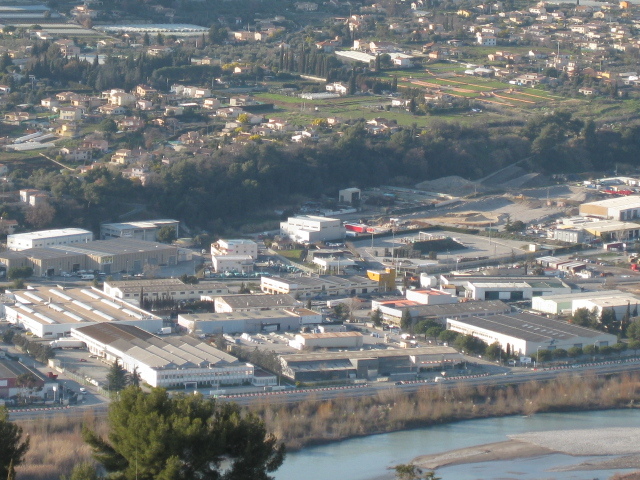 The area, which is home to 11% of the Alpes-Maritimes department’s overall population, includes land for agriculture and wood exploitation, as well as zones with a range of industrial activities. 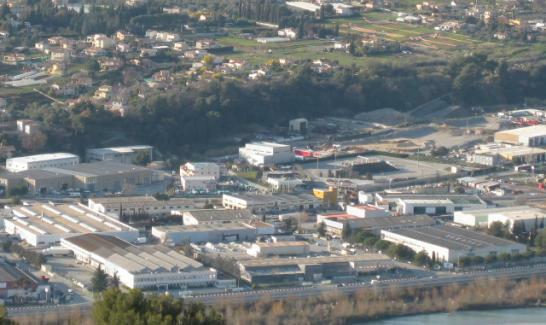 This diversity and wealth is to be enhanced with the Plaine du Var serving as a test bed for a new industrial ecology. Recycling and waste management, reducing pesticides, regulating merchandise transport to limit the carbon footprint… a wide range of areas are to be explored. This new approach favoring industrial ecology was put in place from the start, in 2010, by the EPA Plaine du Var. This was done as part of the national initiative launched by the Minister of Industry within five pilot sites in France, among which the industrial zone of Carros-le Broc, in partnership with the OREE association (see box). Several elements are already in place to support local actors in their initiatives. A team composed of five economic leaders has been set up to advise them, and workshops are regularly organized to help them apprehend the rules of industrial ecology. A first estimation has been made of the quantities of materials and energies which are circulating or being stocked on the territory, in order to evaluate and optimize the flows. Four themes have already emerged regarding the disposal of inert materials and construction waste, the use of wood for building and energy, the use of local food produce and organic elements, and how to limit merchandise transport. The industrial zone of Carros-le-Broc has been recognized at national level for its exemplary approach towards waste management. It is one of the five pilot sites in France lead by the OREE association in charge of building ecological and economic coherence and which focuses on four industrial ecology themes: Energy-heat-cold, merchandise logistics, nontoxic waste disposal and limited flows. - To put in place a logistics service for the delivery and distribution of fresh produce, using clean vehicles. - To develop best practices for public works waste, favor the use of natural resources, and diminish the environmental impacts linked to the transport of materials. - To handle the organic matters linked to agriculture (nearly 7000 tons/year) or to consumption, and to use local wood for construction, as well as waste matters for heating. - To create trading warehouses for transport palettes and for used materials, and waste collectors for computers, batteries, sprays, ink cartridges, plastic packaging… .